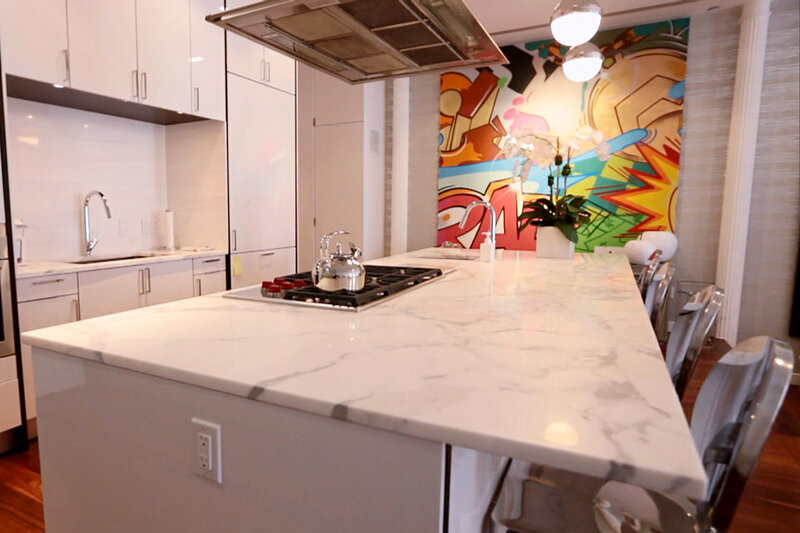 Bravo Bethenny – an Inside Look at The Skinny Girl’s NYC Apartment! Being the starlet of Bravo TV’s hit The Real Housewives of New York City, building her multi-million dollar brand “Skinny Girl” from the ground up, writing four books, hosting her own talk show and being a super mom makes Bethenny Frankel one of Hollywood’s leading entrepreneurs. 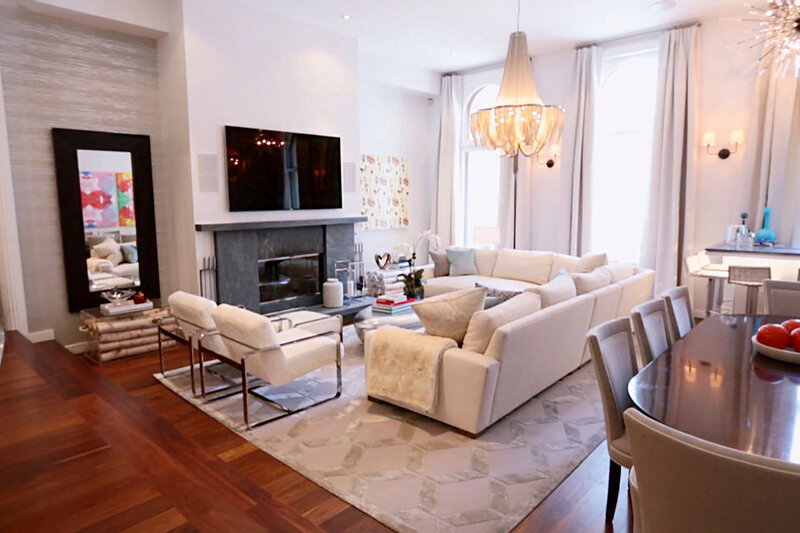 It is no wonder that Bethenny designed her home environment to be her own creative wonderland where she can relax and retreat from the concrete jungle just steps away! Bethenny’s Walk-in Closet – Swoon! Bethenny’s Daughter’s Pretty in Pink Room! 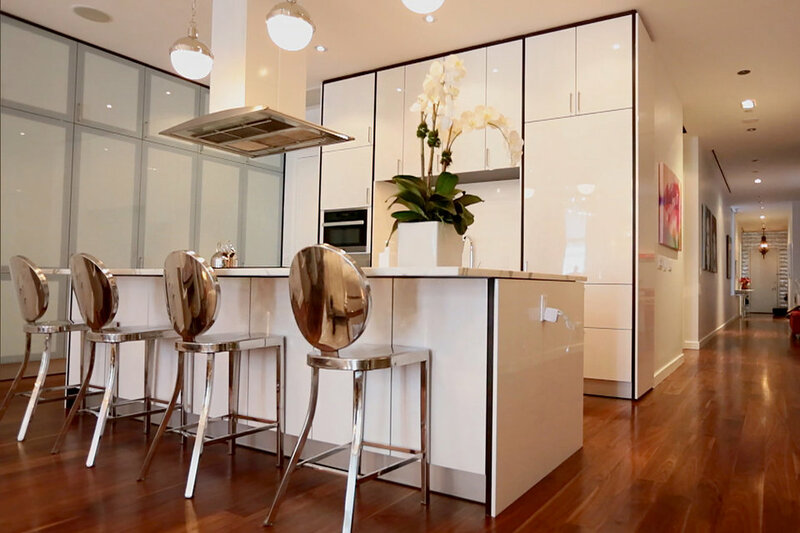 Bathed in lush whites and neutrals, there is nothing “Skinny” about Bethenny Frankel’s remodeled monochromatic New York City apartment and I’ll gladly say cheers to that! Mixing textures in basically the same palette adds warmth to her space. Art and coffee table books infuse Bethenny’s space to give her home pops of color but also inspirational personal touches. Bethenny’s Kitchen – Now if we can just persuade Miss Frankel to whip up one of her famous dishes! 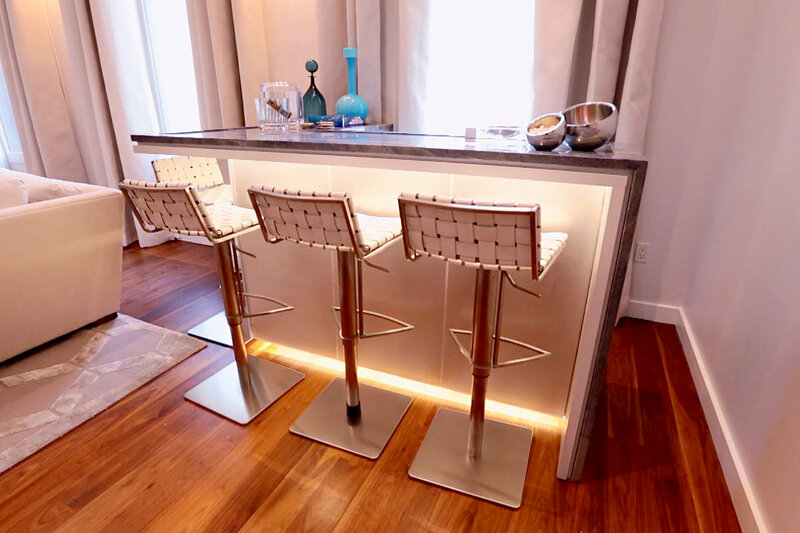 No one’s home, especially Bethenny’s, would be complete without keeping entertaining essentials, like a bar cart, close by for ease! Stocking her perfectly scaled bar, located in her living space, with none other than Skinny Girl products allows her to entertain her friends without having to leave the room to refresh their cocktails. 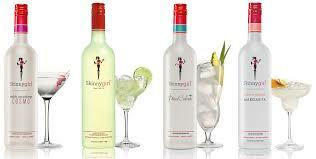 Bethenny’s Skinny Girl Bar – Cheers! TIP: When designing a space with monochromatic colors layer various textures and fabrics to achieve a luxurious space. I would love to hear from you! Update me on your ideas to make a space soothing by using monocramatic colors! Do you like using light colors like Bethenny or dark colors?